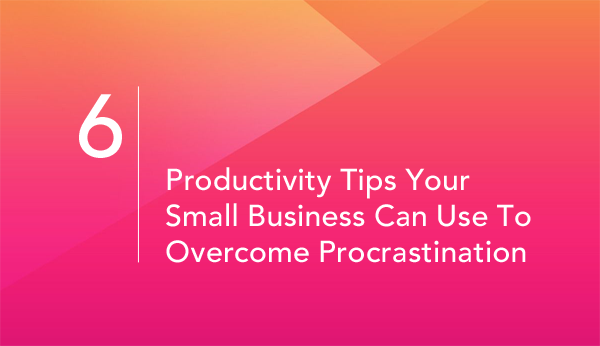 Procrastination can be a big problem for small businesses. It’s so easy to get distracted when you cannot find the motivation to keep working or when you are just too tired and cannot get your productivity back. However, every business owner and worker needs to know how to deal with procrastination so it doesn’t ruin your productivity. Let’s just imagine that you postpone tasks day after day, week after week. It’s absolutely obvious that sooner or later, you will notice that the goals have not been achieved, and you’ve done nothing to grow your business. Still, it’s hard to get rid of the periods of procrastination, especially if you work at the office. But it does not mean that you cannot prevent it by following productivity tips. So if you have suffered from procrastination at least once in your life, you need to read this article. Don’t let your weaknesses destroy your growth potential! You may have noticed that you start to procrastinate right after lunch. Sometimes, it lasts for a couple of minutes but sometimes, it ends only by the end of the working day. If you can’t beat procrastination, prioritize your tasks in such a way that you always handle the most important ones first. For example, if your most productive time is in the morning, it’s better to start your working day by dealing with the most urgent issues first, while leaving the less important tasks for later in the day. The most important tasks should be done no matter what happens, even if you get distracted by emails or meetings. This is the rule that you are to stick to and over time, it will be easier for you to get used to this rule and follow it despite what happens. Frequently, our productivity depends on the inner rhythms. For some of us, it’s far easier to work late in the evening than to deal with complicated issues early in the morning. If you have noticed that you have zero productivity in the morning, perhaps, you have to change your working rhythms. Here is one problem. If you work at the office, you have a fixed schedule and can’t really change it. Therefore, you need to additionally find a way how to combine urgent tasks, your effectiveness, and your schedule. For business owners, this problem will be easier to solve, as they may establish the schedule that suits their inner rhythms. This is a long-term investment in your productivity and a method of handling procrastination. The first month or even two may be rather tough, especially if you have never followed a schedule before. However, over time, you will notice the results. Your mind and body will get used to some patterns and you will feel that something’s missing if you skip some of your daily scheduled tasks. Your schedule should include not only your working time, but also your free time, the time you wake up and go to bed, and even when you have meals. In this way, you will get used to the schedule quicker. But there is a rule: you should follow the schedule every single day, even on the weekends. Of course, on the weekends you should replace your working hours with some other activities, but you need to know exactly what you are planning to do: to have a rest, to read some books or to go to the gym. Do you receive dozens or maybe even hundreds of emails every day? We bet that you don’t read even half of them and keep receiving those letters only because you have no time to unsubscribe from them. However, when a notification pops up on your phone, you check the email box, then you check Facebook and some of the messengers. As a result, you spend more time than you need on the emails that you do not even read. So, when you get an email that you never read, open it and just unsubscribe. Also, refrain from subscribing to new newsletters unless you’re certain the content will be valuable and worth the distraction. If you feel that you cannot stop procrastination, try to handle it. There are various time management strategies that presuppose some time for allowed procrastination. One of them is Pomodoro technique. You choose the task that must be done. Of course, this requires a lot of control from you. During the working periods, you should work, not get distracted or try to solve other issues. Although some think that multitasking helps to do more, studies show that this only leads to procrastination. Therefore, it’s better to separate all tasks that you have and never mix them up. These are basic productivity tips that really help to work on the problem of procrastination and boost your productivity. Of course, it won’t be enough to use these tips from time to time, as to get a noticeable effect, you need to incorporate them into your lifestyle. But if you have a serious intention to beat procrastination, you will definitely succeed! Richard Nolan is a professional educator and team building coach, sharing his experience in spheres of writing, blogging, entrepreneurship and psychology. Richard writes for numerous blogs and gives useful tips for bloggers and students. Currently, Richard works as a general blog editor for EliteEssayWriters. Follow him on Facebook.